How often does a girl need to de-clutter her wardrobe? How often do we really look in our wardrobe at everything we have? Most people wear 20% of their wardrobe 80% of the time. If that is the case, there is a lot of clothes that have got pushed to the back that we are no longer wearing. So, how often does a girl need to to de-clutter her wardrobe? I like to think of the one in one out. If you buy a new pair of denim skinny jeans. I throw out the old pair. There are only so many old pairs you need to keep for gardening or walking the dog!! If you have too many clothes in the wardrobe it makes choosing an outfit to wear each day more difficult. It is important to get your wardrobe working for you. 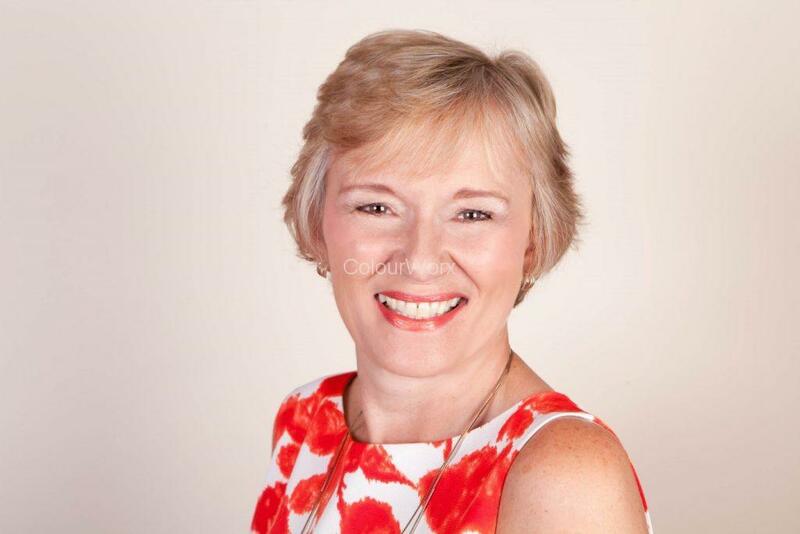 I help my clients to build a capsule wardrobe of core items which work for them. From there you can add the other pieces in your power colours which will all work with your base colours. This enables to you make more outfits our of less clothes. This does not mean that you must get rid of clothes that you love and don’t wear often as we all need those occasion items for special events and parties. I am talking about your day to day clothes, and culling items that no longer serve you. So how often does a girl need to de-clutter her wardrobe? Ideally, I would say four times a year before each season. If that is too much for you, then definitely just before Spring/Summer and before Autumn/Winter. Why? because it makes the process so much easier the more often you do it. A good time is just as the season changes and you are putting away your winter wardrobe and bringing out the summer or the other way around. If you have not worn it this winter will you wear it next. Or when putting your summer clothes in the wardrobe and you see something that you think you will not wear take it out now. It is a good idea to look at what you have in your wardrobe, I am really look. Take out one of your favourite items and see if you can style it in a different way to how you usually wear it. This will surprise you as you will find that you have more outfits in your wardrobe than you think. What do I need to get rid of? Do I love it and love wearing it? Is it my colour and style? Can it be remade into something else ( ie dress into a blouse)? We are aiming here to build a wardrobe of clothes that you love and love wearing. Clothes that make you feel good and give you confidence. If you have items in your wardrobe that do not do that for you, they need to go. What do you do with these unwanted items? Re-cycle anything that you think will sell or give to a friend. If this is a step to far for you, and there are things that you can’t just let go, here are a couple of ideas for you. Pack them up and put them away in a suitcase somewhere and if you have not missed or visited them in six month’s time you might be able to let them go then. 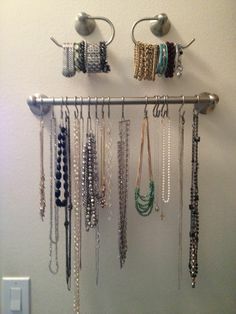 Turn the hangers around in your wardrobe and each time you take something out to wear put them back the other way. That way you will see what you have not worn. After the cleanse you will have a wardrobe of clothes that you love and love wearing but there maybe a few gaps now. So, we can now go shopping!!! Write a list of what you need and inject some new life into your wardrobe. If you need any help, please do get in touch I would love to help you. It is very therapeutic to go through this process and not just in your wardrobe you can work all though the house. Another place good to de-clutter is your office if you work from home. I am going through that process myself now as I am getting my new home studio together. My challenge to you this week is to start the de-cluttering process. Take one chest of drawers, or a part of your wardrobe and make a start and let me know how you get on. You might find some gems, things you have forgotten about and didn’t know you had. Make some new outfits out of what you already have. One thing you will be able to do is to see what you do have which is good. How often have you come home with a new top only to find you already have one very similar? If you have enjoyed reading my blog, please feel free to share on Facebook and or pass on or sign up on my website to receive regular alerts on my new blog posts. Find out which colours work best for you!! Do you have nothing to wear and no spare cash? What do you wear for dress down Friday? My top tips on how to buy the perfect pair of jeans. Are you mindful of the colours you choose to wear? Colourworx Colour & Style Colourworx Colour & Style shared a post. The Easter Event💛Up to 50% off EVERYTHING. Up to 50% off EVERYTHING. Shop the latest in women's clothing at Wallis. Explore this season's coveted dresses, coats, tops, trousers & petite. Free delivery when you spend over £50! Update your Spring wardrobe with some new accessories.Just by adding a new hand bag, or some jewellery can make all the difference. This is saying what I have been saying for ages about how colour effects how you feel. Not only in what you wear but which colours you have in your home. Precious metals and gemstones need to be handled with care if you want them to last. 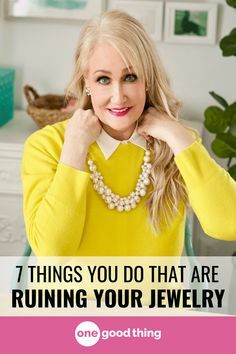 Check out these 7 common behaviors that could be ruining your jewelry.